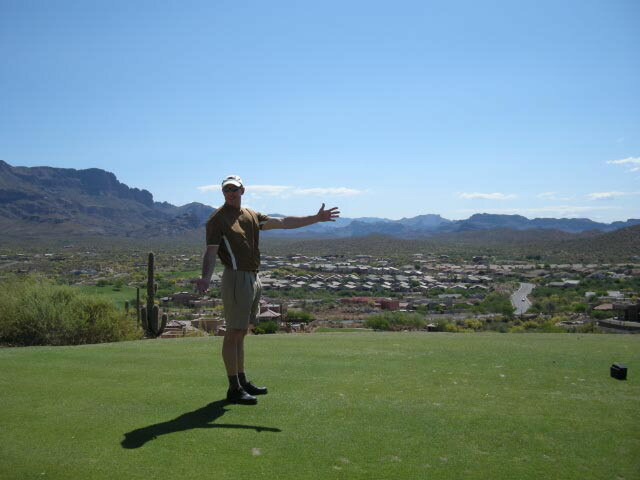 Posted by mkuhbock in Arizona Vacation Property, AZ Real Estate News. The December numbers were released for home sales and the numbers were a little unsettling. A 17% drop in sales from the previous month, this is the largest monthly decline in the last 40 years. In the Metro Phoenix area I am seeing properties listed at 1/3 off their peak sale prices in 05/06. The questions are how low can prices go and when will we hit the bottom? “It’s ‘exit stage left’ for first-time homebuyers,” wrote Guy LeBas, an analyst with Janney Montgomery Scott. December’s sales fell 16.7 percent to a seasonally adjusted annual rate of 5.45 million, from an unchanged ……. January numbers will be interesting. Posted by mkuhbock in AZ Real Estate News. Well the newest real estate articles are posted below and once again they can educate and also add to our daily confusion on what the hell is going to happen to the real estate market in the US. The U.S. housing market has been in a slump for the past four years. When will it ever end? In recent years, real estate has proven as jittery and unreliable as any other market. Nearly a quarter of U.S. mortgage holders owe more on their loans than their houses are worth, according to a report today in the Wall Street Journal. Data from First American CoreLogic, a Santa Ana, Calif.-based real-estate information company, shows that in the third quarter of 2009 almost 10.7 million households had negative equity in their homes. A fifth-straight monthly gain for the Case-Shiller Index Tuesday and Monday’s stronger-than-expected existing home sales report is giving renewed hope to the housing bulls. “Disregard them,” says Barry Ritholtz, CEO of Fusion IQ,…. WASHINGTON (AP) — Sales of new homes rose last month to the highest level in more than a year as strong activity in the South offset weakness in the rest of the country. The Commerce Department said Wednesday that sales rose 6.2 percent to a seasonally adjusted annual rate of 430,000 from an upwardly revised 405,000 in September. Economists surveyed by Thomson Reuters had expected a pace of 410,000…. Arizona has more homeowners who are underwater with their mortgages than any other state, save one. The elusive question everyone is asking, ‘When will we hit the bottom of the real estate market?’ has no definitive answer but the tells point to the fact that we are still moving towards the bottom an not there yet. Here is a decent video with Dan Alpert of Westwood Capital who sides with the real estate bears and puts the bottom in perspective with some economic fundamentals to consider when making our own guess. To be an analyst it todays market means that you would never be wrong… all you need in your predictions is the word ‘but’. The market has stabilized but … The market is up over last (choose your date) but … Recovery is just around the corner but …..
We have hit bottom but …. Bottom line is the Valley housing market has a long way to go before it is in a ‘real’ recovery phase that shows sustainable positive numbers and real upward trends across all classes of homes and all areas of the Valley. We are close to the bottom and will bounce along it now until the economic recovery takes hold. When will that happen? Your guess is as valid and as good as anyone elses as it is a crap shoot now. House resale values in some market segments still have a way to fall, some analysts are calling for another 24% + drop, some market segments have stabilized and some small pockets in the Valley are even seeing an uptick in value. But … make sure you compare apples to apples, something that is not always done. We are even seeing the new home construction now compete with resale in the same areas as builders have to keep their businesses afloat and need to move product to do so, deals are to be had if you have the kahoonas to risk investing with a developer that might not be around after you have put up half the money and your dream home is only 1/3 completed. Make sure you work with a stable developer that has a long history in the Valley and a well sold development, there are many out there but caveat emptor. Foreclosure properties are still a very BIG wild card, how many are sitting on the desks of the lenders not yet processed, how many will be coming on to the market in early 2010 once the economy tightens a little more and the next wave hits, how many investors will be walking away from portfolios of properties that will then go into the foreclosure mill????? Below is a decent but very vanilla overview on the market, an interesting read at least. I think my next post might rant about REO properties a little more but until then have a great weekend. t’s Indian Summer in the Phoenix real estate market: Like a replay of the traditional high sales months, resale activity increased in October — from 9,070 sales in September to 9,955. But although the level of activity appears strong, it’s not necessarily a sign of recovery, as foreclosures continue…….